What is the element Magnesium as on the Periodic Table? A light, silvery-white, moderately hard metallic element that in ribbon or powder form burns with a brilliant white flame. Magnesium is a solid. It is used in structural alloys, pyrotechnics, flash photography, and incendiary bombs. Magnesium is known as a light structural metal due to it’s low weight and to it’s capability of forming mechanically resistant alloys. Magnesium is very chemically active and takes the place of Hydrogen in boiling water. Refer to Magnesium Reaction for its reaction to Water, Oxygen & Hydrochloric Acid. The Atomic Number of this element is 12 and the Element Symbol is Mg. The name originates from a Greek district in Thessaly called Magnesia. Magnesium was abundant in oxide and carbonate ores in this region, and they therefore became referred as stones from Magnesia. Elements can be classified based on their physical states (States of Matter) e.g. gas, solid or liquid. This element is a solid. Magnesium is classified as an "Alkaline Earth Metals" which are located in Group 2 elements of the Periodic Table. Nearly 75% of all the elements in the Periodic Table are classified as metals which are detailed in the List of Metals. An Element classified as an Alkaline Earth Metals are found in the Earth’s crust, but not in the elemental form as they are so reactive. Instead, they are widely distributed in rock structures. For additional facts and information refer to Magnesium Properties. Interesting information on the Medical Uses of Magnesium, Health and Treatments. Magnesium is used in treating coronary artery disease, the symptoms of PMS, migraines, high blood pressure and pre-eclampsia. The best known magnesium compound is magnesium sulfate (MgSO4 ) which is popularly known as Epson salts. Epson salts are used in bath water to relax sore muscles and remove rough skin. Milk of Magnesia (magnesium hydroxide) reduces stomach acid, and increases water in the intestines. Milk of Magnesia is used as a laxative to relieve occasional constipation and as an antacid to relieve indigestion, upset stomach and heartburn. 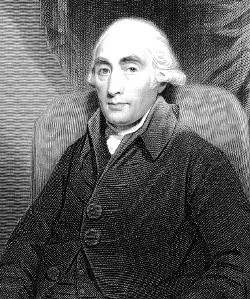 Magnesium was discovered by Joseph Black, in England, in 1755 who observed that magnesia alba (MgO) was not quicklime. The element was isolated by A. A. 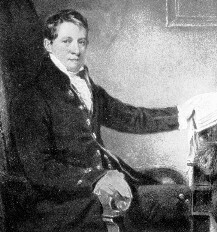 B. Bussy and Sir Humphry Davy in 1808 who isolated the metal electrochemically from magnesia. Magnesium is a rather tough silvery-white metal of small density. Air does not act rapidly upon it, but a thin film of oxide forms upon its surface, dimming its bright luster. The common acids dissolve it with the formation of the corresponding salts. It can be ignited readily and in burning liberates much heat and gives a brilliant white light. This light is very rich in the rays which affect photographic plates, and the metal in the form of fine powder is extensively used in the production of flash lights and for white lights in pyrotechnic displays. Check out Magnesium on the Periodic Table which arranges each chemical element according to its atomic number, as based on the Periodic Law, so that chemical elements with similar properties are in the same column. Our Periodic Table is simple to use - just click on the symbol for Magnesium as on the Periodic Table for additional information and for an instant comparison of the Atomic Weight, Melting Point, Boiling Point and Mass - G/cc with any other element. An invaluable source of facts and information as a Chemistry reference guide. The Standardised Periodic Table in use today was agreed by the International Union of Pure Applied Chemistry, IUPAC, in 1985 and now recognises more periods and elements than Dimitri Mendeleev knew in his day in his day but still all fitting into his concept of the "Periodic Table" in which Magnesium is just one element that can be found. These articles contain facts and information relating to Magnesium and each of the other elements including the Periodic Symbol, group, classification, properties and atomic number which is often referred to as the Periodic Table Number. Test your knowledge of chemistry and the Periodic Table by completing the Element Symbols and Atomic Numbers on our Blank Periodic Table. Chemistry students will also find a helpful section on Chemical Formulas.